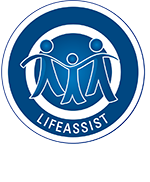 LifeAssist Financial Wellness provides a unique Financial Counselling service that encompasses both a front end (training) as well as a back end (financial wellness call centre) solution that therefore is comprehensive in nature. The services are customized around each employee as they use their own personal information which further enhances and optimizes their engagement into the process. We have the ability and knowledge to negotiate with our client creditors and arrange reasonable payments on monthly basis. This intervention is aimed at rehabilitating our clients so that they can be credit worthy. The LifeAssist Financial Counselling Care Call Centre assists F3 members with financial counselling relating to financial literacy. It is important to note that this service does not replace financial advisors or brokers but is centred more towards financial literacy through financial counselling. Apart from providing the report to F3 members, our telephonic financial wellness counsellors will also be able to assist members with the interpretation and understanding of the ITC report.